The backpacker co has come up with a mind-blowing offer for exclusively female travelers. 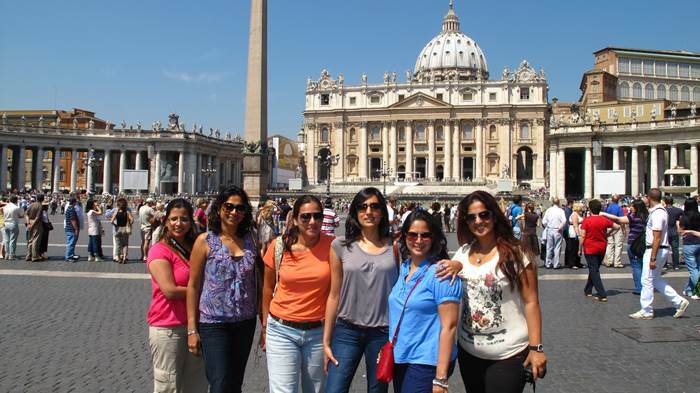 Pay just Rs.49000/- (plus Service Tax as applicable) and you can explore Italy, France & Spain. And they call the whole package – Girlfriend Getaway To Italy, France & Spain – . So ladies, get ready to unwind. Don’s miss this opportunity. And, they have a reputation of providing best service to their clients. Thanks a lot for spreading the word!! A perfect opportunity for all gal-pals to reconnect and explore. Don’t miss the opportunity and join the fun now! !